It’s the holidays (and my birthday) which basically means I have license to stuff my face with as many sweet treats as possible. An annual chubby bunny experiment of sorts. 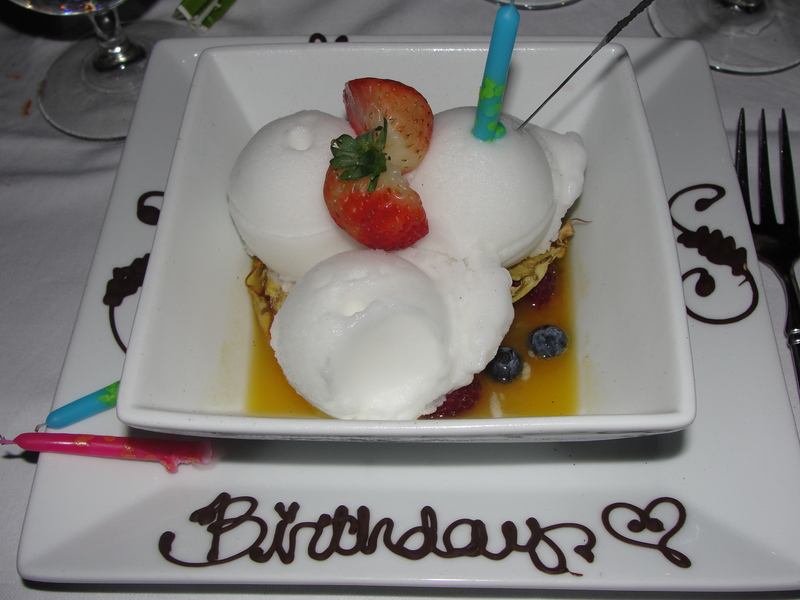 But low sodium desserts, especially at restaurants, tend to be difficult to find. Caramel, baking powder and baking soda, salted butter… it all kind of gets in the way of a low sodium diet. But thanks to the delicious coconut, new doors of decadence have been opened. Coconut has recently been a low sodium scene stealer. Its milk (15mg of sodium per serving) makes a wonderful substitute for recipes that include dairy and when mixed with granola and some dried fruit, you have the perfect, tropical breakfast. As for dessert, coconut made its way to me last night in two different iterations: frozen and cookie’d. 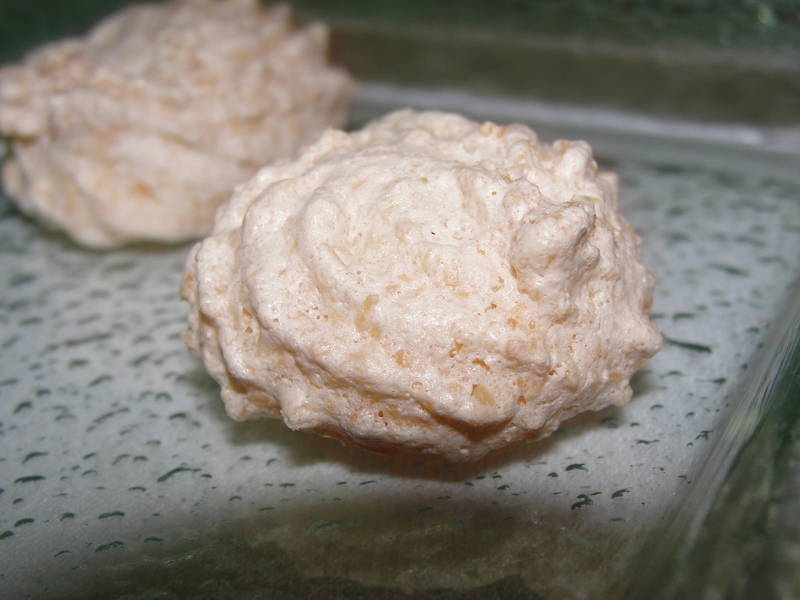 Ciao Bella Coconut Sorbet (15mg of sodium per serving) is a freezer staple at my house. It is creamy and has little flecks of real coconut in it. I try to keep my eye out for this option on menus as a cool scoop of the good stuff really ends a dinner on high note. In even bigger news, I am beginning to see more “ice cream” products with coconut as the dairy substitute, expanding the flavor options to all new levels. Luna and Larry’s Coconut Bliss comes in Chocolate, Vanilla Island, Mint Galactica, and Cappuccino to name a few, all which are around 18mg of sodium per serving. But sometimes, to top off your ice cold treat, sometimes you need something with a little crunch. Last night, I was served mini macaroons. The perfect low sodium cookie. Cream of tartar, white sugar, egg whites, and coconut – these tiny morsels were low sodium and extremely satisfying. So remember, when your sweet tooth strikes, go nuts with coconut and chow on. jess–this is my first time looking at your blog after months (years?) of hearing how awesome it is. It is such a coincidence that this is your latest post because today is my birthday, and your picture looks exactly like what we served! I’m gluten/casein free (I may have told you this), so I can relate to your struggle to find great desserts that work.